As I am fond of saying, plot isn't always everything in a good crime novel, and Elliot Chaze's Black Wings Has My Angel is a great case in point. It's also now the best crime novel I've read so far this year, and I do not say those words lightly. After a sixteen-week gig working as a roughneck on a drilling rig in Louisiana, Tim Sunblade has his first bath in four months in his flea-bitten hotel in Krotz Springs. A knock on the door later he meets prostitute Virginia; three days later they're on the road together, Virginia having warned him that "when the money's gone ... I'm gone too." When Tim tells her in return that when that day comes, he'll probably be sick of her, she replies in what turns out to be prophetic words: "It'll be better if you're sick of me." The two begin to make their way west where Tim has big plans that initially don't include Virginia, but as they make their way first to Colorado and later, to the Big Easy, their relationship takes on a strange, twisted life of its own, ultimately sealing both of their fates. That's the nutshell version which doesn't say much but in terms of what happens here, the story is best experienced on one's own. Chaze has offered up a deadly match up in Tim and Virginia, both of whom have self-destructive tendencies, both of whom are flawed people with dark pasts. Tim and Virginia are two of a kind: they have a healthy love of cash; both have a "horror of being broke," and each has the measure of each other. But as I said, it's not so much the plot here but the ongoing, deepening interplay between these two characters that makes this story, as well as Chaze's excellent writing. I already knew I was in love not too far into the novel, when Virginia gets the better of Tim at a cafe in the New Mexico desert, and Tim goes back to track her down. He's fuming, holding a Magnum .357 that he sticks into his waistband as he's coming into town, where he passes by some little shops with signs that read "COME IN AND SEE THE GIANT MAN-KILLING LIZARD," "SEE THE MAN-DESTROYING RATTLESNAKE," and "REAL LIVE COBRA -- COBRAS KILL A MAN EVERY HOUR IN INDIA." If we haven't yet figured out that Virginia is a femme fatale, a predator, and a man eater, well, we definitely get the point now, in big, bold letters. But more than anything else, the beauty of this book is in the way Chaze uses Virginia's sexuality to bedazzle Tim into making some pretty bad choices here, while at the same time revealing Tim's major weaknesses and his sheer desperation that allow readers to actually sympathize with him. Black Wings Has My Angel is one of those books that kicks you directly in the gut and doesn't let up. Reading it, I knew that happy endings probably weren't in the cards for either Tim or Virginia; I knew something terrible was coming down the pike, and I once again had that feeling of watching an unavoidable, inevitable train wreck, unable to look away. It's not pretty -- it's very dark, filled with an overarching sense of doom and gloom, and god help me, I absolutely loved it. I'd say that someone needs to make a movie out of this book, but they'd probably mess it up, so no. This is noir reading perfection and it seriously just does not get better than this. I am not terribly fond of real, very dark noir but... this sounds really good so I will have to try it. Glad I saw your review. Trust me, it's really, really good. 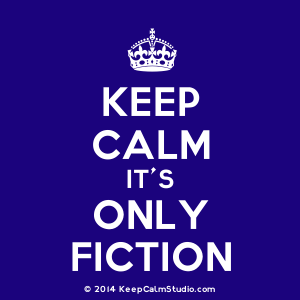 You don't read this story, you live it. 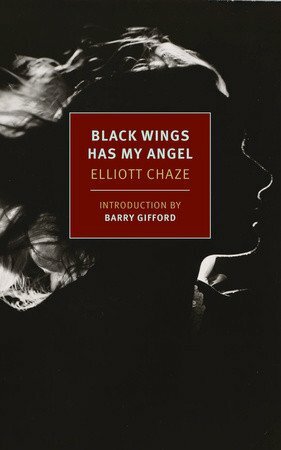 It is a masterpiece of noir, a work of art, it is literature not pulp, a modern greek tragedy, a tale of life and love and hunger and fear which comes from the deepest heart of the author, Elliott Chaze.